Over the last five years we have been contacted by various groups asking for customized classes for their boys and girls. These troops were looking for alternative avenues to help their troops learn “real outdoor skills” and self-confidence in their own abilities or simply the skills needed to earn various merit badges. These classes were so successful that we decided to put together a flexible curriculum especially for scout troops. This flexible curriculum allows Scout Leaders and their troops to design a tailor made wilderness skills experience just for them. These workshops can be 1 day long or an weekend (Friday night, Saturday and Sunday) and are taught by our “full time” instructors. Designing an event is as easy as 1-2-3. 1. Decide if you want a 1 day or Weekend Workshop. 2. Choose our Standard Workshop Agenda or look over the available topics for a custom program on topics your troop is interested in. 3. Select a date good for you and MNSI (see calendar for open dates) and give us a call (888-886-5592) to schedule it. THATS IT! Step 1 – Decide how extensive of a program you want – a day (8 hrs. ), a Weekend (Friday evening thru Sunday afternoon), or part of a weekend. 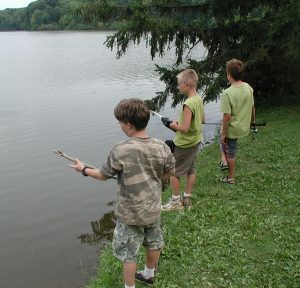 Step 2 – Look over the outdoor skills topics further down this page and see which ones your troop are interested in. Ask your troop to determine which topics they are interested in. If you are trying to earn a particular set of badges or are preparing for a regional event, choosing the appropriate topic that we can focus on during the weekend. Step 3 – Call us to verify the dates are available and to reserve that date for your wilderness workshop event. The topics we cover during your time with us can either be customized based on the needs of your Troop or can be one of our standard agendas that many troops find to cover the widest range of interests for their scouts. The following links will take you to either our standard One Day or Weekend (Friday evening though Sunday) agendas. Keep in mind that these are templates for the activites that can be modified if need be with any of the other activities we offer. An alternative would be for us to come to you. Many troops simply rent a Boy Scout camp in their area or if someone in your Troop has a few acres of open land with some trees on it that we can hold the workshop there. We have reduced our standard public class pricing by over 66% to make these programs affordable for the parents of the scout. The total cost for a program will be the cost of instruction, actual travel expense (if you decide to have us come to you), and material fees (if any) on the projects you want your troop to do. We require a 10 participant minimum charge for all workshops. If you have less than 10 we will still do the workshop at the 10 participant minimum rate. Note: we use the term “participant” since many father / mother chaperons often elect to participate in the training so that they can gain the experience to help their scout after the workshop concludes. If you elect to have us come to your location we ask that you only pay for our gasoline to get to you plus a $10 per hour driving time charge. We will use “MapQuest” to determine the driving time and mileage from Seven Hills, Ohio to your location. Gasoline costs will be calculated at 11.0 miles per gallon (our Chevrolet Suburban pulling our 18 ft. Class Supplies trailer) with the current rate of fuel at the time of the class. 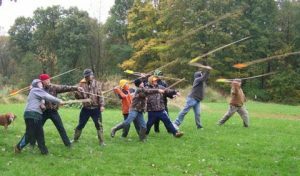 – Atlatl (if you would like each participant to make and take home an atlatl and darts) Nanticoke Atlatl Kit with 3 six foot darts – $48 / Additional Dart Kit $10 . – Boomerang – Blanks are $15 per semi finished blank and 10 for bare blanks and come in both left and right handed designs. There will be a 10% discount for those troops who have booked a program within the last year. We have a standard agenda for these workshops or we can assist you in customizing the topics we cover.If you want to customize a n agenda look over the topics that are available (below) To insure that you have enough time available to cover the selected topics, use the topic/time guide below. Survival Skills Overview and “Lost Proofing” (45 minutes) – This is an interactive discussion on what it means to be lost, a persons reaction to that situation and outlines a course of action to take in you find yourself “lost”. A detailed overview of Shelter, Fire, Water and Food as well as the “Rules of 3” will be discussed. Fire Making Foundations (2 hrs.) This is our most popular course choice. It covers tinder, fire-lays how to correctly construct a Tee-Pee fire-lay, 1-match fires, spark-based fires, making char cloth and traditional flint and steel fires. Scouts will construct their own Tee-Pee fire-lays as well as make char cloth. Real Flint & Steel fires (1 hr.) 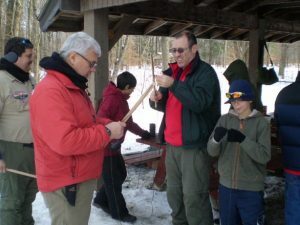 We will teach your Troop how to make fires with “real Flint and Steel (not sparker rods!) like the trappers and natives of the 17and 1800’s did. We will be making our own char cloth and learning both the “summer” and “winter” methods of using the flints and steels. We will also cover char tubes and pyrite fire making. Bow Drill Fire Making (2 hrs.) 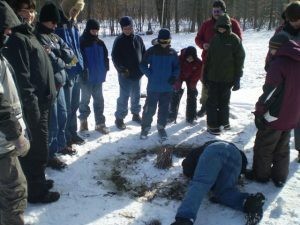 Let your scouts learn the traditional “age old” Bow Drill fire making method. the participants can elect to learn with our sets or we will teach them how to carve their own and have it to take home with them. 40+ Ways to Make Fire (1 hrs.) Advanced fire making techniques covers other primitive fire making techniques like the, hand drill, fire pistons and fire saw as well as more modern ways like flashlights, soda cans and even ICE! Water (1.5 hrs) During this class, scouts discuss our need for water. The scouts will have an opportunity to build several water collection methods (i.e. solar stills, rain water collection systems and Indian wells.) Filter vs. purifiers will also be reviewed with a focus on the uses of each. Edible and Medicinal Plants (2.5 hrs. / April – October) Edible and medicinal plants is designed to show your troop how to look at common weeds in a new way. This class includes a slide show, plant walk and then the opportunity to try their hands at one of a variety of projects. This may be a medicinal salve, making acorn flour or cooking up a batch of Queen Anne’s Lace jelly. Making Beef Jerky (1 Hr) We need to construct a tri-pod using both the tri-pod and square lash as everyone participates in slicing and marinating the meat before its placed on the drying rack. Fish Filleting (1 Hr.) Learn the various ways to prepare a fish for the dinner table including making a “survival stew”, gutting and roasting, and actually filet your own fish that you will then cook in a foil frying pan you make over the fire. Traps (2 hrs.) Here we cover primitive traps such as Dead Falls, Snares, Ojibwa Bird Trap, Fish traps and various primitive triggers. Knots (1 hrs.) It seems every scout knows knots but he reality is many can not reproduce them or use them in a practical application. This class is full of hands on work and gets your scouts involved in making a drying rack to smoke meat. Knots covered are the Clove Hitch, Sheet Bend, Constrictor, Taut-line, Prussic, Tripod Lash, Square Lash and the Bottle knot. Shelters (2.5 hrs.) In this class your scouts will talk about types of shelters, how to select the best location based on weather and available materials, how to use a poncho as a shelter and then actually construct a lean-to or debris hut shelter that they can sleep in overnight if they elect to..
Cordage (45 min.) Learn how to make unbreakable rope using common weeds found in fields. Camouflage (1 Hr.) Learn the principals of Camouflage, how to make the clothing your wearing work for you, and how to use natural materials to make yourself “invisible” in the woods. Knife Sharpening (1 hr.) Ask any outdoor skills expert what one item they can’t do without and most will reply “a sharp knife.” Most scouts have knives but few know how to properly care for them or get that “razor sharp” edge. This is a skill your scouts will use for a lifetime. Survival Kits (45 Minutes) Learn the essentials of putting together an effective “Survival Kit”. We will also lay out a plan for your troop to continue evolving each persons “survival Kit” during your future meetings. Navigation (2.0 hrs.) This class takes the mystery out of navigation techniques. With our 4-step program an eight year old can understand and deal with declination. Your scouts will work with compasses, learn to read natural navigation markers, pace for distance, and take and walk bearings. They will also learn to read and interpret topographical maps. Constellations and Night-time Navigation (45 min) Learn how to use star charts, navigate using the starts, identify and see satellites and Iridium flares and identify the circumpolar as well as seasonal constellations. Learn the tricks to locate Milky Way, see where the “center” of our galaxy is, and discover why the North Star appears not to move and what star will be the new North Star in the future. Outdoor Cooking (3 hrs.) This class looks at some unconventional ways to cook a meal. 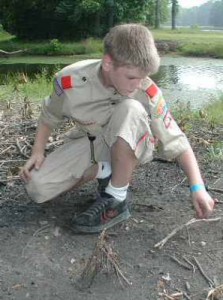 Scouts will construct a keyhole fire pit, boil water with rocks, and make foil ovens. They will cook fish in clay, Cornish hens using hot rocks, make ash cakes and stick bread and top it all off with an apple pie that they’ll bake themselves. Awareness (1 hr.) 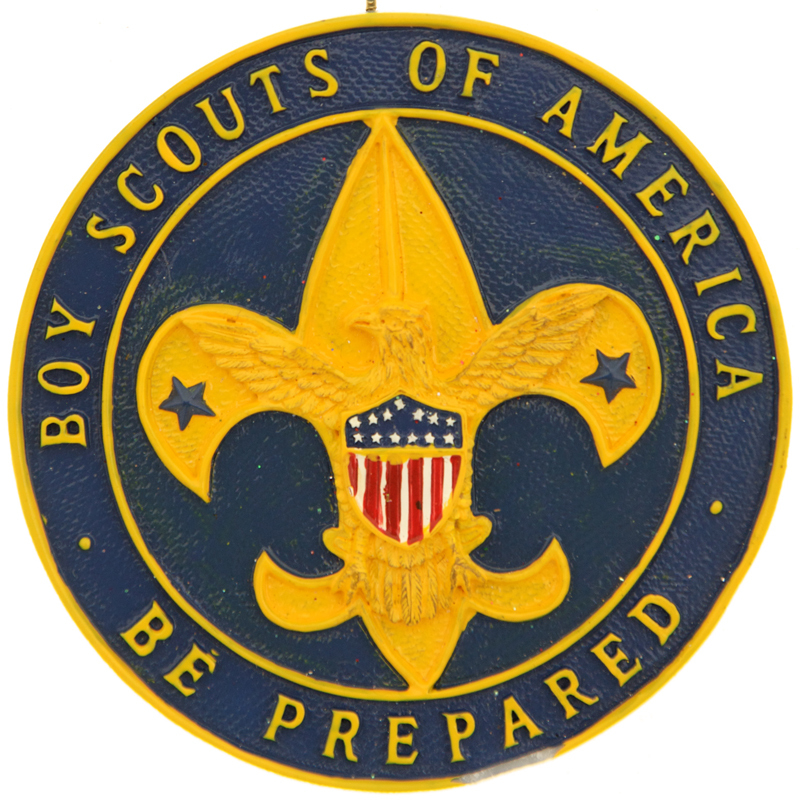 This is an opportunity for your scouts to slow down and e-experience their surroundings. Scouts will learn to fox walk and use wide angle vision. They’ll participate in an exercise we call “the slows”. They’ll try matching the speed of nature and they’ll stalk up to the fire. This activity is mandatory if the “Blind Drum Stalk” exercise is done. Hide Tanning (Demonstration only) – 1 hr., Hands-on 3 hrs.) Learn how to easily tan an animal hide using household products. We’ll discuss brain tanning, hair removable, drying, scraping and breaking hides. Boomerang Throwing (1 Hr.) Learn the techniques to successfully throw a boomerang and have it return to you. This topic can be expanded to have the participants finish a boomerang kit so that it can be taken home. Our boomerangs are patterned after the Australian Outback Boomerangs and should not be confused with many of the store bought ones that may look similar but are not made to return. Mountain Man Breakfast (90 min. )Make your very own mountain man breakfast on red hot coals from the fire with flour, water, baking powder to make Ash Cakes and Stick Bread. Compliment the meal with some “salt cured” bacon or sausage. Eating Utensils (2 hrs.) Scouts will burn out a soup bowl and make eating utensils. Candle Lanterns (1 hr.) Individuals participate in making pop can lanterns and hand dipped candles. Camp Furniture (1 hr.) Learn how to make tripods, chairs and tables.